Considering a Wood Burning Stove in Stockport? 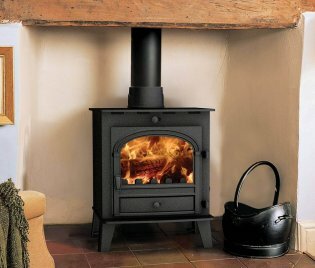 If you are considering the pros and cons of a wood burning stove in Stockport and want to know if it’s right for you then this page could be of interest. The first thing to consider is if you have a chimney that will accommodate it? Generally if your home is pre-1970’s you should have a brick chimney that can fit a stove comfortably. If your home is post 1980’s you will have to assess if you have a brick chimney stack. You can do this by looking on the roof and seeing if there is a brick stack on the top. If your home has a pipe or raised ridge tile then that’s not a great start. Additional flue pipe would be required to fit a wood burner into this type of setup. A good fitter or surveyor can advise you if you’re unsure. As far as stoves go the main benefits are that they provide excellent heat and efficiency. As long as you buy the wood in at the right price they are very cheap to run and that’s not to mention the hypnotic flame effect they produce. Burning wood in Stockport is not allowed unless your stove is DEFRA approved. This remains the case until 2022 when the regulation will be EcoDesign friendly. For anyone who has a DEFRA approved stove you can continue to use it after this date but if they come to renew it thereon it will need to be EcoDesign ready. Installation needs to be carried out by a quality reputable fitter with the HETAS qualification. If the fitter is not qualified you will to contact building regulations. They will send out someone to assess the installation and as long as it passes you will receive a charge of £450 for the certificate. If it does not pass you will need to get the original fitter round to rectify the issue. If you wish to consider us for the above services then you are in good hands. We are family run and have been trading nearly 50 years. All our fitters are reputable and fully qualified. This means you wont have any additional bills for certification. You can find us on Washway Road in Sale just opposite the Interior Curtain Centre. We have a fantastic range of stoves, fires and fireplaces and can make anything to size and colour. 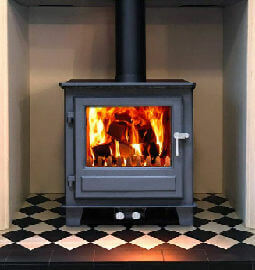 Our sales team can advise you on the pros and cons of each stove and which models may be more suitable for your needs. To view the best wood burning stoves Stockport has to offer why not get in touch.